Brawn GP is pleased to confirm the continuation of its team supplier partnership with Endless Advance for a sixth consecutive year. 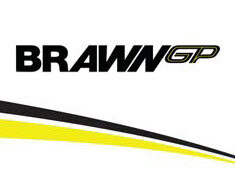 Through its European operating agent, Endless Brake Technology Europe based in Sweden, Endless will provide the Brawn GP team with its RF-650 competition brake fluid throughout the 2009 Formula One season. Since its creation ten years ago, Endless Brake Technology Europe has been a market leader in Europe for advanced motorsport brake technologies.